There are affiliate links on this page. You won’t pay any extra for using these links but I will receive a small percentage of what you spend which helps support my little blog and I GREATLY APPRECIATE IT! Thanks! It’s time for Craft Lightning again! I’ve joined a group of bloggers who share 15-minute craft ideas focused around a different theme each month. This month is “Back to School”. I figured, every girl wants new jewelry to wear back to school! 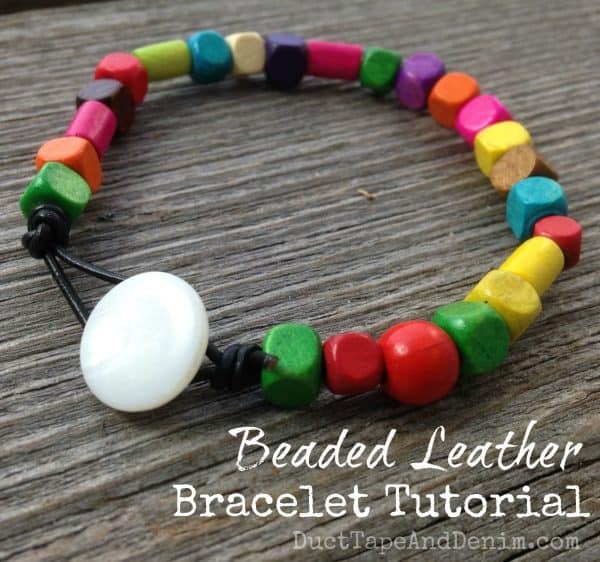 So my tutorial is for an easy beaded leather bracelet. 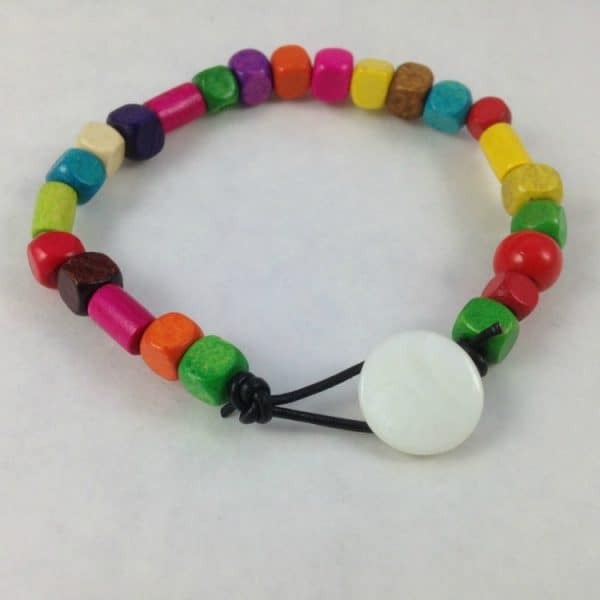 These little wooden beads reminded me of colored pencils and getting ready for school. I bought these wooden beads on Etsy a few years ago. The seller isn’t active anymore but you could do an Etsy search for “wooden cube beads” and “wooden tube beads” and see what you can come up with. I also found these on Amazon. Start with about 16″ of cord. I used some leftover from another project. 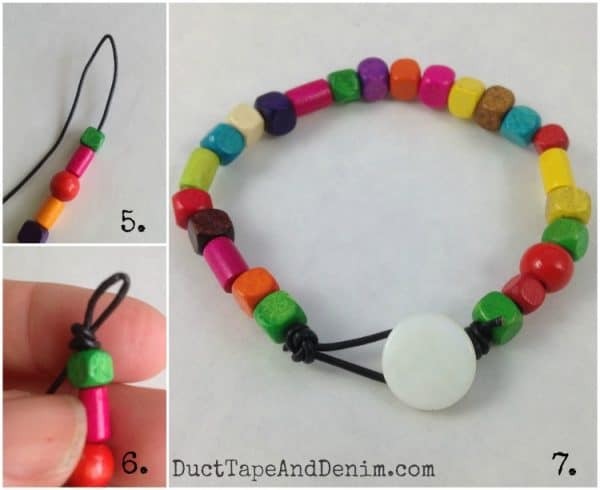 You can use any width that fits through your beads. Thinner cord will make your bracelet more flexible. 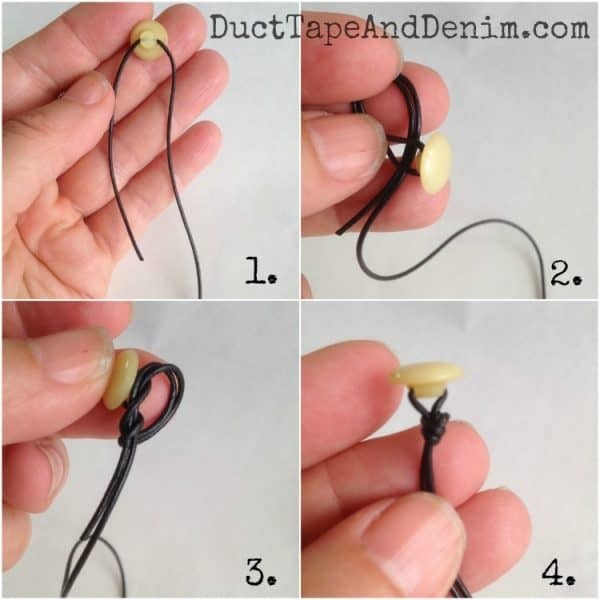 Thread the button on and fold over about 3″ on one end of the cord. Tie a knot to hold the button on. Trim off the end. Thread on about 6″ of beads. I didn’t use any pattern at all on the bracelet above. But you could create any pattern you like. This will make your bracelet approximately 7.5″. 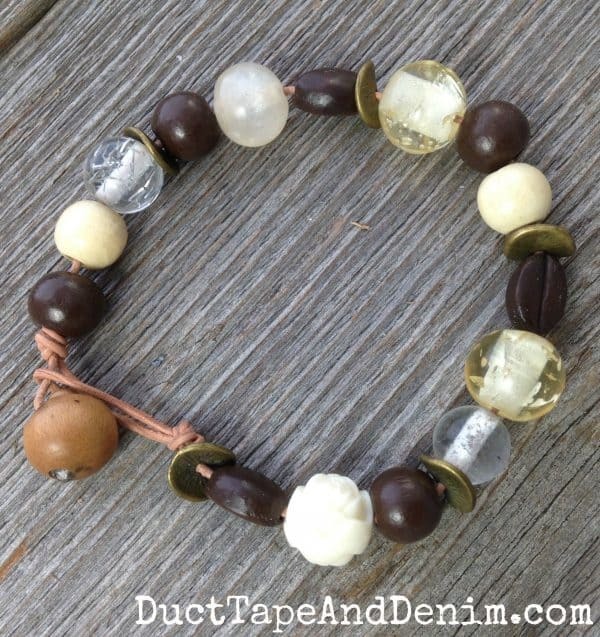 Add or subtract to the beads at this point if you want a shorter or longer bracelet. After you get the beads on fold over the cord about 1.5″ from the last bead and tie a knot, leaving a loop on the end. Trim off the end again. Here’s another bracelet I made with the same technique but different beads. This project is helping me with my Word of the Year… FINISH! I have sooooooo many beads that I’ve been hoarding saving to create with. I think most of these have come from old broken jewelry that I’ve bought at thrift stores. 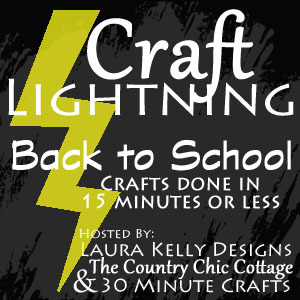 Now click on the graphic below to take a look at all the other blogs participating in the Back-to-School Craft Lightning! Sign up for my email list & get a 20% off coupon code! … and notices of more DIY projects!